Second Trump Message: Charlottesville Is Sad - Joe.My.God. 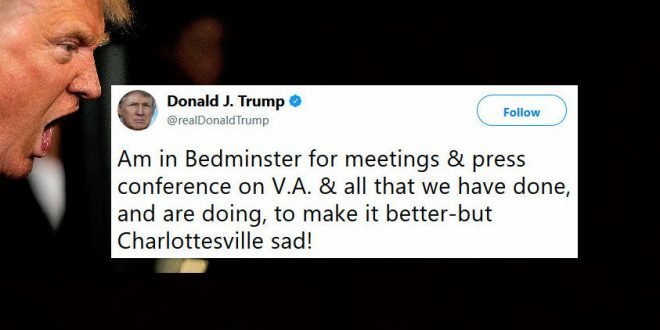 After his first tweet about the violence at today’s Nazi rally was widely denounced as intentionally vague, Trump has tried again but again he has failed to call out the white supremacists marching and rioting in his name. Trump’s first tweet was seized upon by Nazi leader Richard Spencer as having been a denouncement of the counter-protesters and there’s nothing in this followup tweet to make the Nazis think differently.